Gov. Larry Hogan urges support for increased criminal sentences during a press conference Monday. The bill has already passed in the Senate. It’s scheduled to have a hearing Tuesday before the House Judiciary Committee. During a press conference Monday afternoon, Gov. Larry Hogan urged House members to support the bill and emphasized that there are only two weeks left in the General Assembly’s 90-day session. The bill is called “comprehensive” because it folds in proposals originally included in other legislation. It includes protections for immigrants who are victims of crimes and help law enforcement investigate those crimes. It funds a gun-focused task force within the Maryland State Police and allocates money for several programs in Baltimore. But the aspect that many supporters and opponents of the bill focus on is how it increases sentences for repeat violent offenders. The bill does not increase mandatory minimum sentences, said Sen. Bobby Zirkin, a Baltimore County Democrat and the bill’s sponsor. “I don’t personally believe in mandatory minimums because every case is different,” he said during an interview earlier this month. 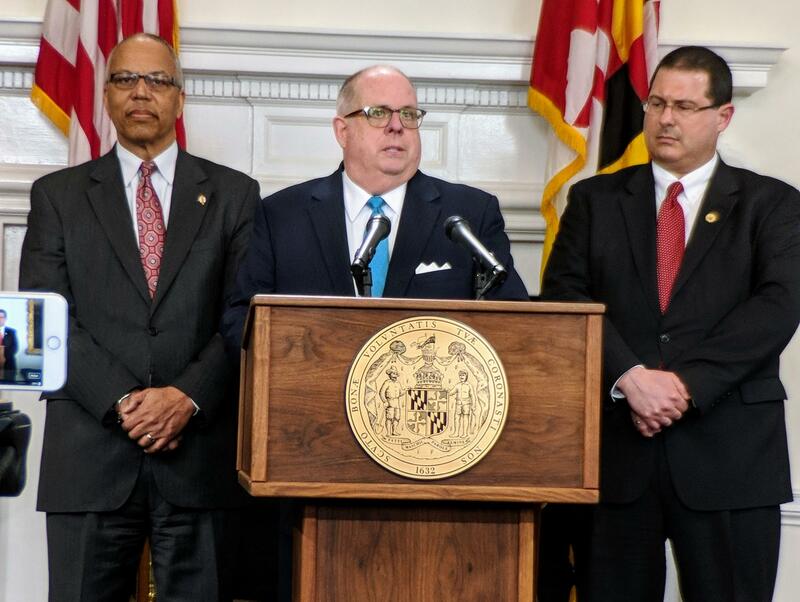 Hogan, Baltimore Mayor Catherine Pugh, and several members of the city’s delegation in Annapolis have pushed for increased mandatory minimum sentences as a way to reduce violent crimes in Baltimore. Hogan’s own bill increasing mandatory minimums never made it out of committee, but the governor praised Zirkin’s bill on Monday. “With our tough sentencing for people that continually commit gun crimes and violent crimes, if we put people in jail then we’re going to clean up the streets of Baltimore,” Hogan said. Zirkin said the difference between a mandatory minimum sentence and what his bill does is the amount of discretion given to judges. For example, if someone commits a violent crime with a gun, current law says that person gets at least five years in prison and up to 20 years. If it’s that person’s second conviction of a violent crime involving the use of a gun, he or she cannot get parole or have the sentence suspended for the first five years. Zirkin’s bill raises the minimum sentence for a repeat violent crime with a gun to 10 years and the maximum to 40 years, but it makes everything after the first five years eligible to be suspended or paroled. “It’s not a mandatory sentence because it’s not necessarily time that you’re going to be serving,” Zirkin said. But critics of the bill say there’s little difference between its increased sentences and increased mandatory minimum sentences. “Increasing the mandatory minimums or increasing the maximums, you have someone behind bars for 40 years and then they come home. Then what?” said Caryn York, executive director of the Job Opportunities Task Force, an advocacy nonprofit in Baltimore. She said one of the bill’s biggest flaws is that it doesn’t solve the problems that perpetuate crime in Baltimore. A recent report by the Job Opportunities Task Force found more than 1,100 collateral consequences someone with a criminal record faces after returning home. For example, someone with a criminal record has a tougher time getting a job or going to college and isn’t eligible for many public assistance programs. York said reducing some of those barriers could help reduce recidivism in Baltimore. 343 people were killed in Baltimore last year, most of them, shot. In the wake of record homicides, two individuals are among those working on the street level to stop the killings. Erricka Bridgeford of Baltimore Ceasefire shares how she remains persistent and hopeful in the face of tragedy. And James ‘J.T.’ Timpson, Safe Streets community liaison officer, discusses the future of that effort, and what he thinks is behind the staggering number of homicides Baltimore saw in 2017. In late summer Baltimore residents organized a 72-hour “cease-fire” in hopes of stemming gun violence in their city. It wasn’t perfect. There were at least two homicides that weekend in August. 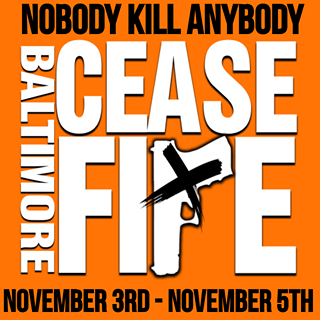 But it led to Cease Fire 2.0, scheduled this weekend. At the end of the last Ceasefire weekend, organizer Erricka Bridgeford said she wanted to continue the effort, but she didn’t know what it would look like. Just over halfway through this year, Baltimore has crossed a frightening threshold: more than 200 city residents have been murdered. 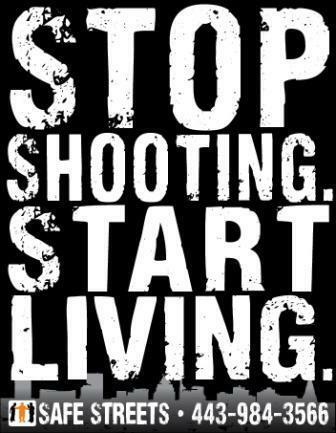 What can be done to stop the violence? 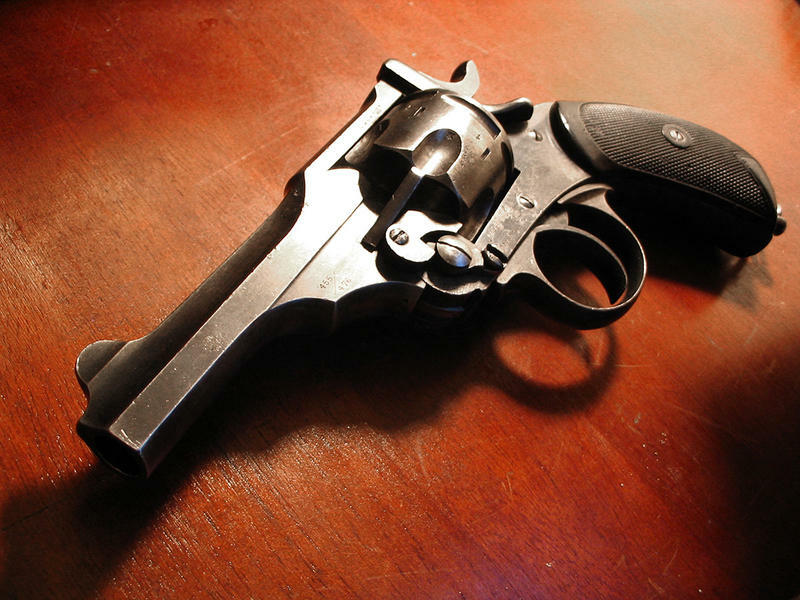 Daniel Webster, director of the Johns Hopkins Center for Gun Policy and Research, discusses the obstacles posed by stolen guns and repeat offenders. And Erickka Bridgeford, one of the organizers of a 72-hour ceasefire this coming weekend, explains how she is making a pitch for peace. The 72-hour Baltimore ceasefire ended Sunday night, broken four times by shootings over the weekend. 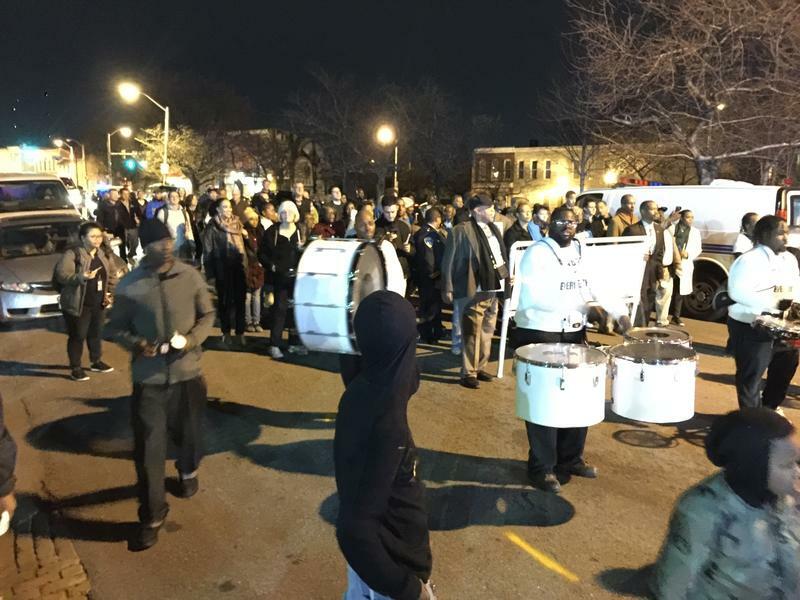 Nonetheless, organizers said they hoped to continue their movement going forward. It began at 5 p.m. Friday with a 12-hour barbecue and resource fair at the corner of Erdman Avenue and Belair Road, one of 40 events scheduled for the weekend. This one was led by Out for Justice, a non-profit that helps people seeking legal advice.